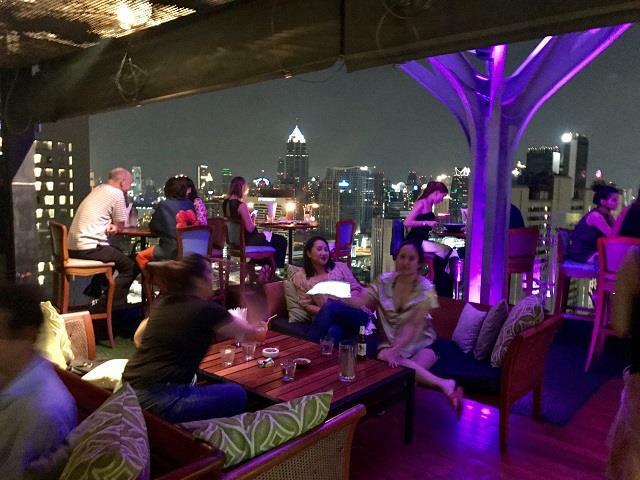 Above Eleven Bangkok was one of the first rooftop bars we planned to visit during our stay in Bangkok. 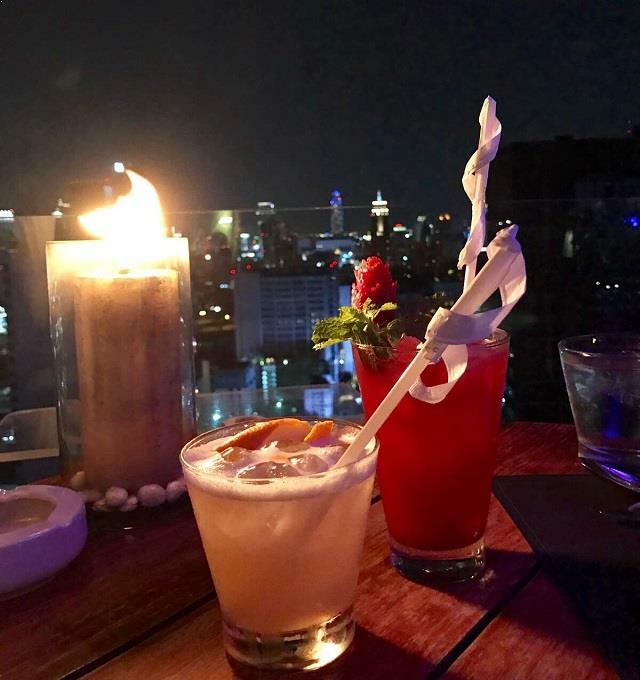 We have only heard good things about this rooftop and that the party atmosphere and restaurant was supposed to be very good. 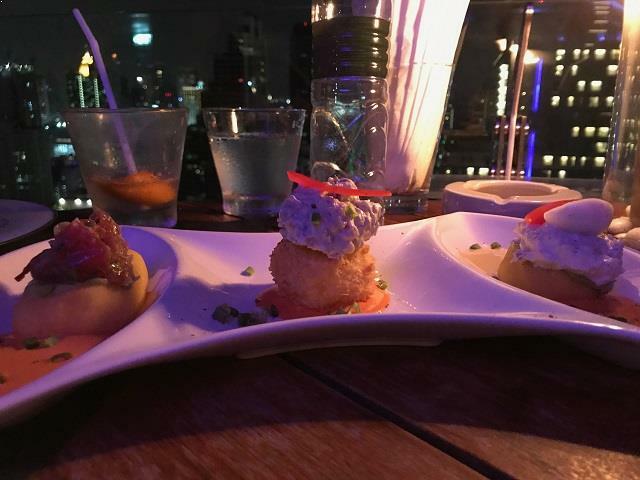 Consider by many as the best Bangkok rooftop restaurant here www.therooftopguide.com/rooftop-news/best-rooftop-restaurants-in-bangkok. Perfect for a Friday dinner with some drinks. We booked a table for dinner at 20:00, and arrived just in time. Upon arrival, we were well received by the staff and especially Jean Yves that took care of us in a very good way. Jean showed us to our table in the corner of the terrace overlooking the mighty skyline and surrounding skyscrapers. Probably the best table at Above Eleven, if you want the best possible view. Jean presented the menu for us and told us a lot about Above Eleven and what’s so special about them. He was a super nice guy and showed us what great service is all about. With some advice from Jean we ordered some of the signature cocktails and dishes for our dinner. The kitchen at Above Eleven is a fusion between the Peruvian and Japanese cuisine. First, we got our cocktails and starters. Refreshing and tasty drinks and the starters were super good as well. 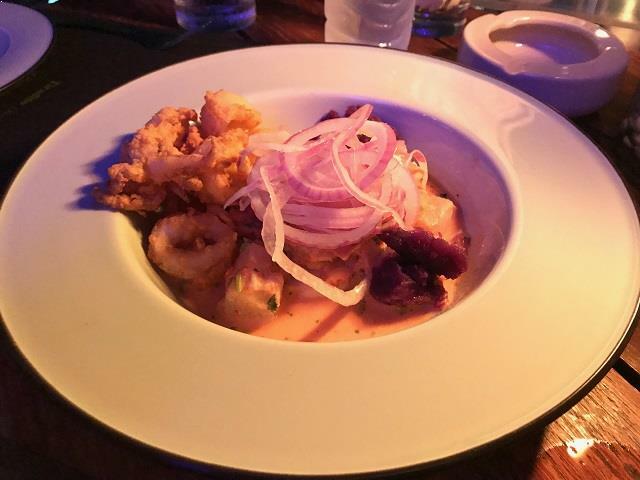 A ceviche with Seabass, Prawns, Deep Fried Calamari, Sweet Potatoes & Red Chili Leche De Tigre. And we also got a platter of three different delicious sashimi’s and one signature platter of some of the chefs own choice. 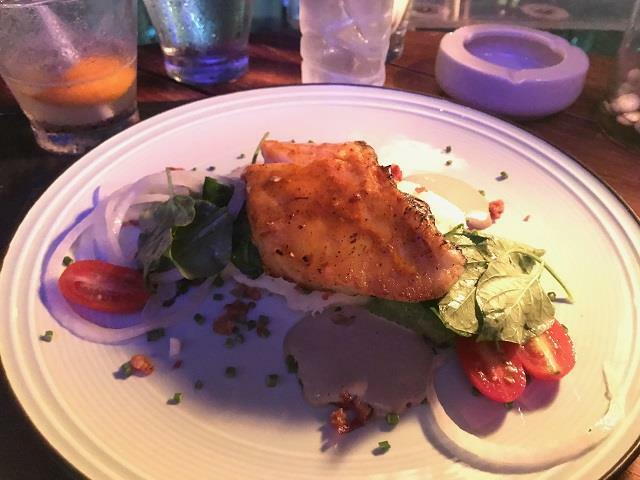 The starters are always our favorites and it was no exception this time either. Now it was time for the main courses. One plate of fish and one with spicy meat. We shared everything and where both happy with the choices we made. 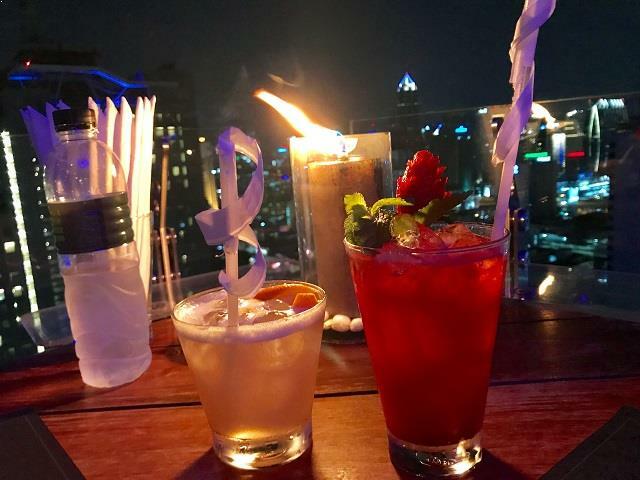 Above Eleven is very price worthy compared to many other rooftop bars in Bangkok that have very expensive prices for less good food and drinks. 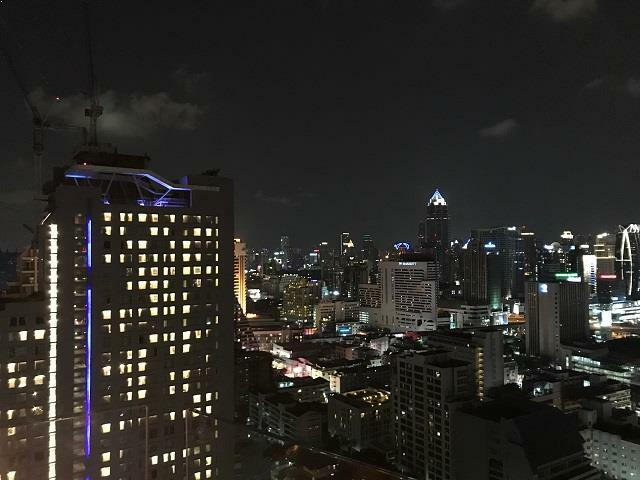 In other words, Above Eleven is a perfect rooftop bar in Bangkok if you don’t want to spend a fortune but still get the mighty views and luxurious feeling of being on top of the city. This is also a perfect spot if you like to party. The venue turns into a very good party place in the evening and night and the DJ is playing some nice tunes to keep the atmosphere as good as it can get. Oh, I forgot to mention that we also had a delicious dessert. 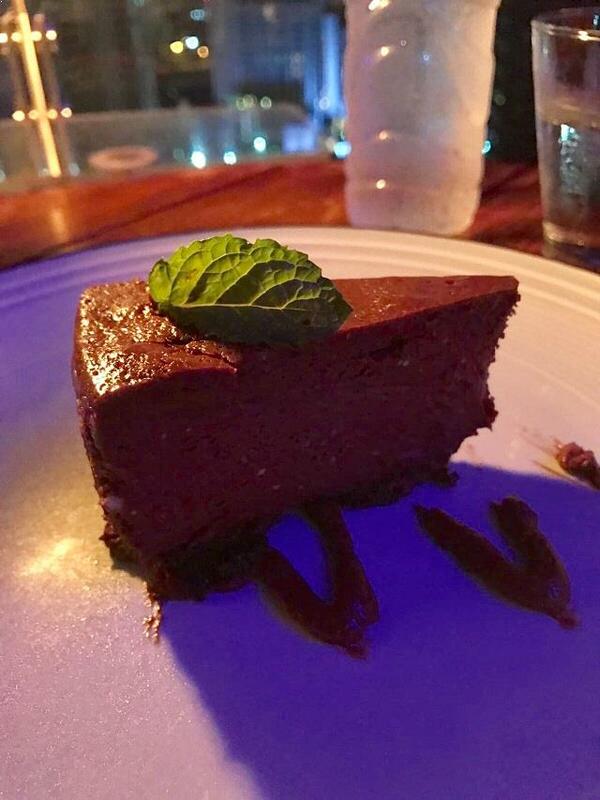 A chocolate cheesecake and a bowl of coffee mousse. A perfect ending to a perfect night. 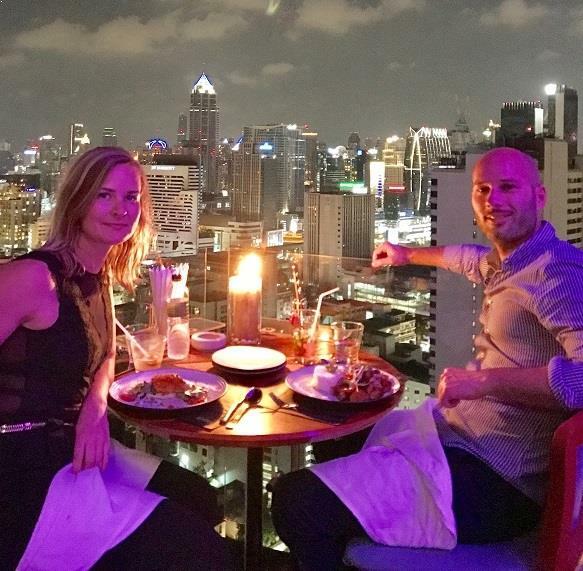 We really recommend Above Eleven to all that loves to dine, drink and party with a view, and at the same time feel it was worth every penny! For more information check out Above Eleven here.